Nach der Flut von Junk Science der letzten Jahrzehnte, insbesondere in bezug auf den Passivtabakrauch, hat die internationale Koalition gegen Prohibition (TICAP) zu Beginn des Jahres 2009 mit weltweiter Resonanz die Brüsseler Erklärung vorgestellt. Sie soll die Überhand genommene Spreu vom Weizen trennen, resp. Pseudowissenschaft und politischer Mißbrauch der Wissenschaft transparenter gestalten um den angeschlagenen Ruf der Forscher-Gilde wieder herzustellen. Die Erklärung ruft zur korrekten Anwendung wissenschaftlicher Methoden auf. Im Mittelpunkt stehen dabei epidemiologische und toxikologische Themen wie Alkohol, Übergewicht und Passivrauchen. «Es geht um die Rückkehr von Solidität, Zuverlässigkeit und Integrität in der Wissenschaft», erklärt John Gray, Vorsitzender der TICAP. Das umfassende Dokument fordert exakte Standards für die Datenerhebung in epidemiologischen Studien, die verbindliche Benennung von Fehlerbreiten und das Festhalten an Risikogrenzwerten. Auf Studien, die diesen Kriterien nicht entsprechen, dürfen Expertenmeinungen und Regierungspolitik nicht aufbauen. Maßnahmen, die auf unqualifizierten Studien beruhen, sollen zurückgenommen werden. Zudem ruft die Brüsseler Erklärung offizielle Stellen und Medien auf, über die Ergebnisse wissenschaftlicher Studien seriös und gründlich zu berichten, statt mit unvollständigen Informationen Panik zu schüren. Die Brüsseler Erklärung wurde auf der ersten Weltkonferenz gegen Prohibition Anfang 2009 initiiert. Nun werden weitere Wissenschaftler, Politiker, Autoren, Organisationen und andere Unterstützer gesucht. Die Erklärung kann auf der Website brusselsdeclaration.org online unterzeichnet werden. Auf dem weltweiten Kreuzzug gegen Alkohol, Tabak und »ungesunde« Nahrungsmittel berufen sich Gesundheitspolitiker gerne auf vermeintliche Forschungsergebnisse, die nicht einmal den minimalsten wissenschaftlichen Standards gerecht werden. Die nachfolgende Erklärung soll eben diese Standards in Erinnerung rufen. Gleichermaßen appelliert sie an die Politik, nicht die fragwürdigen Aussagen ausgewählter und z. T. recht parteiischer »Experten“ dazu zu mißbrauchen, den Menschen ihre Entscheidungsfreiheit über ihren eigenen Lebensstil vorzuenthalten. Eine prohibitionistische Gesellschaft kann niemals eine freiheitliche Gesellschaft sein! Wir, die Unterzeichner dieser Erklärung und ihrer Anhänge, geloben hiermit, detaillierte Bewertungen zum wissenschaftlichen Wert staatlicher Politik und entsprechender Aussagen zu veröffentlichen, wo möglich und geeignet Abhilfen vorzuschlagen, die dem seriösen wissenschaftlichen Erkenntnisstand entsprechen, sowie politisch dahingehend zu handeln, daß nur wissenschaftlich gefestigte Aussagen und Vorhaben amtliche Verbreitung erlangen. Mit dem Link »Hilfe zum Ausfüllen in Deutsch« hat die GV-BFS eine deutsche Hilfe für jene vorbereitet, denen das Ausfüllen des englischsprachigen Formulars Schwierigkeiten bereiten sollte. In the global crusade against alcohol, tobacco, and “unhealthy” foods, health politicians have drawn on alleged scientific evidence that does not adequately meet minimal scientific standards. The following Declaration reminds us of these standards. The Declaration also calls upon politicians to avoid abusing questionable statements by selected and sometimes quite biased “experts” in order to deprive people of their free lifestyle choices. A prohibitionist society cannot be a free society! Whereas science and the scientific method have been responsible for the unprecedented progress of knowledge about the physical world during the last few centuries, and for the consequent unabated progress in the material, intellectual, and social conditions of humankind. Whereas objective evidence is the key for the success of science and the scientific method, and whereas this paramount feature of science imposes a new ethical standard of objective evidence in the assessment and presentation of material evidence in social human affairs. Whereas in free societies the policies and regulations pertaining to physical realities must be objectively validated according to the requirements of the scientific method. Whereas conjectural statements wrongly claimed to be based on objective and validated scientific evidence are increasingly made to encroach on public opinion, government policies and regulations, legal proceedings, educational curricula, and individual choices and behaviors. Whereas this trend gravely compromises the integrity of science, and is the harbinger of dire consequences for the intellectual progress, the material welfare, and ultimately for the individual freedom and the physical and mental health of people on this planet. It is thus resolved that we, the signatories of this declaration, pledge ourselves to defend and promote the objective scientific integrity of public statements presented as being scientific representations of events in the physical world, and that affect government policies and actions, the media and public opinion, legal proceedings, educational curricula, and other activities of individual and social significance. To this end we, the signatories of this declaration, highlight here certain fundamental concepts that characterize the nature and the integrity of science and of the scientific method, which we hold to be true and self-evident principles for the identification of authentic, objective, testable, and valid scientific statements. Science and the scientific method move from observations to the formulation of cause-and-effect hypotheses, leading to study designs that objectively and honestly test the validity of those hypotheses. Science and the scientific method rely on the language of numbers and mathematics in order to attain the needed quantitative precision. Science and the scientific method do not claim to obtain absolute truths, but rather best estimates within the probability limits of explicit margins of error. The quantitative precision of science and the scientific method depends on measurements that are accurate and precise with margins of error small enough to be inconsequential. Science and the scientific method depend on measurements that are relevant to the task at hand, and that warrant to be authentic representations of what it is said to have been measured. Scientific observations and experiments must ensure that observations and effects are specific and internal to the matters at hand, and are not confounded, corrupted, or biased by spurious externalities or by financial and political interests. Valid observations and cause-and-effect conclusions must be reproducible by independent investigators. Studies should be properly published and open to peer and public scrutiny before their results are released to the press for political purposes. 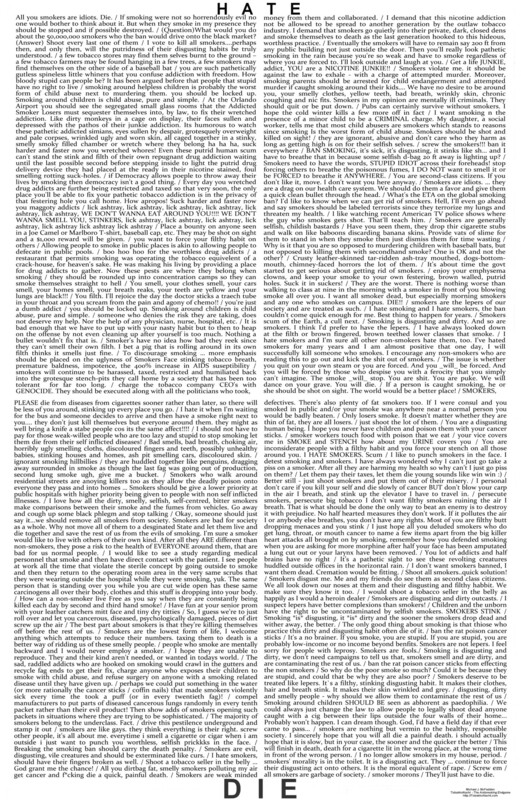 We, the signatories of this declaration and its annexes pledge ourselves to publicize detailed examination of the scientific validity of public policies and statements, to suggest remedies compatible with valid science where possible and appropriate, and to act politically to ensure that only scientifically validated statements and policies are promulgated by governments and other public institutions. C) There is almost always a lack of consistently replicable results, given the instability of primary data, and the shifting composition and influences of potential causal factors and of biases from study to study. Cancer risk assessment uncertainties of animal tests have been swept under the rug by adopting arbitrary assumptions of corresponding human validity that have no foundation in fact or science. These assumptions have become the central determinants of regulatory decisions in many countries around the world. Regulatory decisions should be based upon scientific evidence at hand. We are dismayed that a succession of regulators and politicians has thrown restraint to the wind, leaning more and more toward the “precautionary principle” presently fashionable in regulatory circles around the world. The absence of credible and defensible primary data on lifetime ETS doses or exposures is prima facie evidence that the claimed risks of ETS are false in any sense of having been proven. Lung cancer develops slowly and generally manifests at advanced ages after cumulative lifetime experiences. This means that even if ETS exposure could predict risk – and it cannot – it should be measured as the sum-total of exposure episodes over the lifetime of individual non-smokers. Yet, as noted, the myriad momentary changes of exposure over lifetimes would be impossible to track, and therefore cumulative assessments of individual exposures are materially impossible. Still, this is what ETS studies falsely claim to have done. Epidemiological studies of ETS have produced statistical estimates of risk based not only on improper exposure data, but also on exposure data that are indisputably illusory. Of the 75 published studies of ETS and lung cancer, some 70 percent did not find a statistically significant increase in risk, and several actually found statistically significant decreases in risk among those with lifelong exposures to ETS. On the whole the overall conclusion of these studies cannot be interpreted as conclusively supporting even a reliable statistical association, much less a truly causal association. The crusade on what is called overweight and obesity now expanding worldwide is poised to change drastically traditional ways of life in most developed countries that nevertheless have witnessed a near doubling of life expectancy in little more than a century, parallel to a steady increase in average body weight. A crusade on overweight and obesity that focuses primarily on dietary changes and restrictions ignores a vast array of other social and environmental changes in a century has seen unprecedented advances in food quality, safety, and availability, paralleling fast declining mortality rates. Even if sweeping governmental impositions of dietary changes were effectively implemented no one could objectively justify drastic changes in diets and lifestyles that have allowed billions of people to reach levels of health and longevity unprecedented in human history. The crusade against alcohol use has used corrupted science to minimize the health benefits, both psychological and physical, of moderate alcohol consumption while simultaneously exaggerating its health risks. Health benefits of such consumption are consistently downplayed in governmental statements while on the risk side of the equation we have seen a steady movement to emulate the “no safe level” dogma that has proven so powerful in the crusade against smoking. Laws in some countries even disallow brewers, vintners and distillers to make any claims – including truthful and scientifically correct ones – about the benefits of using alcohol, thus denying consumers the opportunity to make truly informed and free choices about the risks and benefits of its consumption. This entry was tagged Alcohol, Alkohol, Brüsseler Erklärung, Brussels Declaration, Christopher Snowdon, David Goerlitz, Dr. Abraham Pepper, Dr. Beda M. Stadler, Dr. Gio Batta Gori, Dr. Günther Ropohl, Dr. Hannan Frenk, Dr. Jan Snel, Dr. Kamal Chaouachi, Dr. Michael Marlowe, Dr. Philip Button, Dr. Robert Molimard, Fraud in Science, John Grey, Junk Science, Obesity, passive smoke, Passivrauch, Scientific Integrity, Tabak, TICAP, tobacco, Uebergewicht, Weltkonferenz 2009. Bookmark the permalink. Ein sehr schöner und (wie ich meine) wichtiger Beitrag! Auch wir unterstützen die „Brüsseler Erklärung“! Ich selbst war 2009 bei der Initiierung der Erklärung mit dabei und habe auch die Diskussionen im Vorfeld erlebt. Es war schon ein bedeutendes Ereignis. Seither ist einiges an Zeit vergangen – Zeit, die gezeigt hat, wie WICHTIG eine solche Erklärung und vor allem deren Einhaltung für unser gesellschaftliches – auch europäisches – Zusammenleben ist. Daher rufe auch ich an dieser Stelle alle Leser auf, die Brüsseler Erklärung zur Wissenschaftlichen Integrität jetzt zu unterzeichnen. Auf unserer Webseite haben wir eine deutsche Hilfe für jene vorbereitet, denen das Ausfüllen des englischsprachigen Formulars Schwierigkeiten bereiten sollte. Bitte unterstützen Sie durch Ihre Mitzeichnung die Brüsseler Erklärung zur Wissenschaftlichen Integrität – jetzt! Wissenschaftliche Integrität und weniger Junk-Science sind sicher lobenswerte Ziele. Die aktuellen Entwicklungen um die Arbeiten von zu Guttemberg und Co. werden zwar vor allem aufgrund der Dreistigkeit kritisiert, aber letztlich sind sie auch wissenschaftlicher Ballast: Material ohne wissenschaftlichen Wert, dass aber dennoch von Wissenschaftlern geprüft werden muss, die in der gleichen Nische forschen.